One of the many waterfalls beside the road. 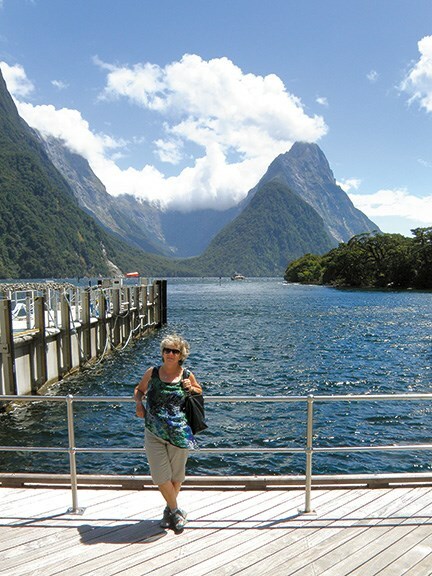 Heather Whelan drives to Milford Sound in her motorhome, giving her plenty of time to take in the delights along this 121-kilometre strip of amazing road. Although there are many tourists using the road, most, as I am, are driving to take a boat trip on the Sound. Few stop to take in the sights, walks, or fishing that are available all along the highway, which means these quiet spots have an air of remoteness. There are several motorcamps in Te Anau if you want to leave a bus or caravan behind and explore by car. 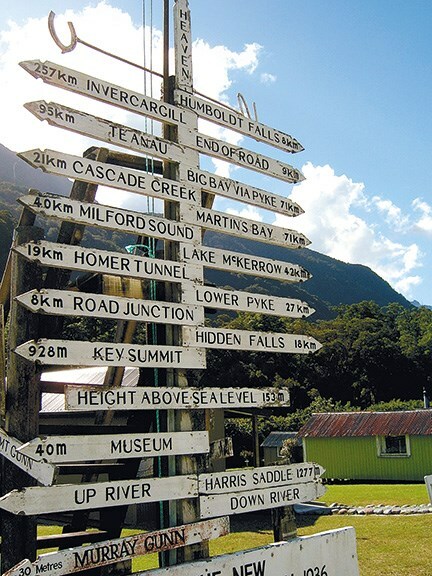 If you plan to spend awhile, on the way to Milford Sound there is Gunn's Camp on the Hollyford Road before the Homer Tunnel, and ten DOC camping areas along the road. Most of these have enough room for large motorhomes. Freedom camping is not allowed on the Milford Road. Driving from Te Anau, it is easy to see why the road to Milford Sound has been called one of New Zealand's most scenic drives. First there are the views across Lake Te Anau to the Murchison Mountains beyond. 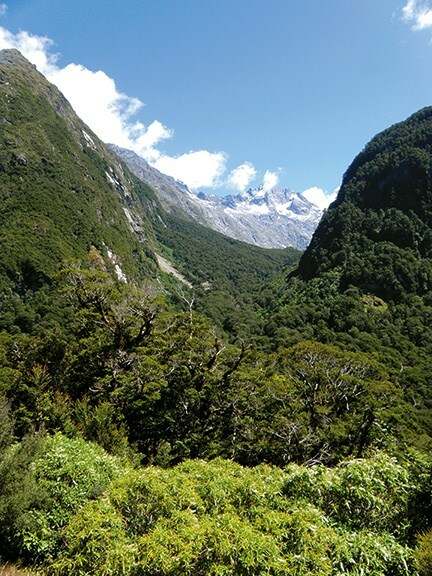 Then at Te Anau Downs, where hardy walkers depart for the Milford Track, State Highway 94 enters a glacier-carved valley between the Earl and Livingstone Ranges. From here, every bend in the road reveals dramatic and picturesque views. 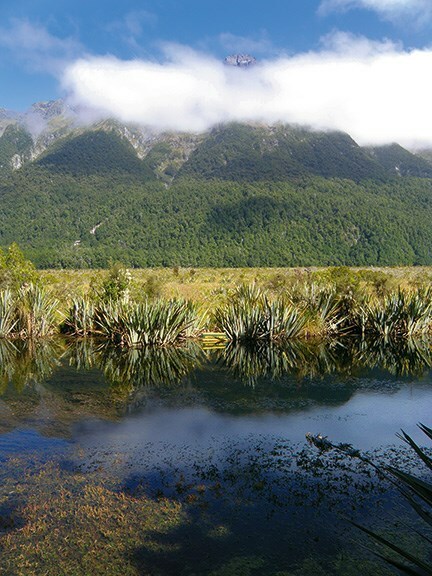 About 62 kilometres north of Te Anau, and easily accessed from the road, are the Mirror Lakes. This is a great place for a break and to admire the Earl Mountains reflected in the small lakes. There are 200 metres of boardwalk viewing platforms set amid the beech forest. Further north, Lake Gunn and Lake Fergus lie beside the road. Both have DOC campgrounds with toilets and picnic tables and are popular trout-fishing spots. There are bush walks here, too. As the road winds towards its highest point, there are several lookouts. Pop's Lookout has interpretation boards explaining how the road was built, with stories relating to the pioneering road builders and their families. Nearby is a small car park and a great picnic spot, with views to the snowy peak of Mount Crosscut behind the huge glacial valley. 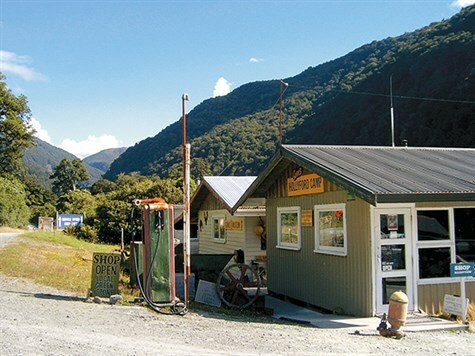 Eight Kilometres down the Lower Hollyford Road, which branches off at Marian Corner, is Gunn's Camp. The camp (using the Public Works Department huts that once housed the road builders) was run for 80 years by two generations of the Gunn family and is now managed by a trust. What I thought was memorabilia is actually a working petrol pump, much to the relief of a carload of young tourists who had obviously been unaware of the fact there is no petrol station after Te Anau. This bush-lined road is unsealed and on the wild side. 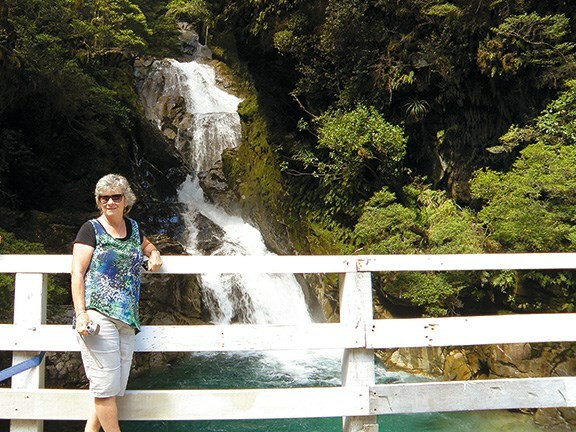 There are small pedestrian swingbridges across the Hollyford River leading to bushwalks and at the road end is a 30-minute (return) walking track through lush rainforest to the Humboldt Falls, which cascade 275 metres in three drops. The Homer Tunnel is set in a natural ice-carved amphitheatre, and the area has alpine buttercups and daisies growing among the shrubs and tussocks. 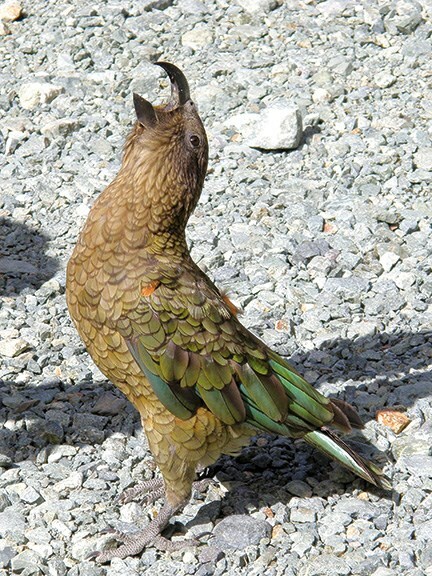 Here, there is a nature walk to enjoy but the most popular drawcard is the kea, which gather here hoping for food scraps. 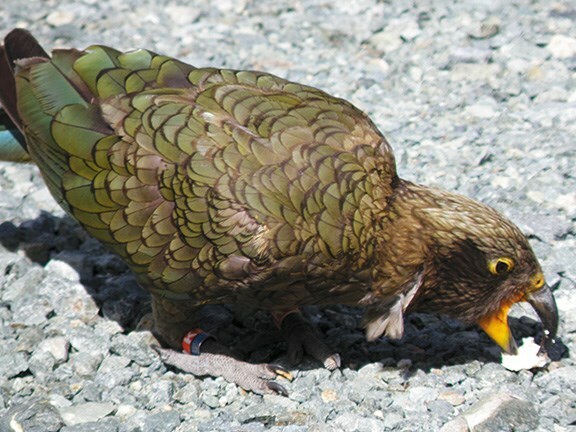 DOC discourages the feeding of kea, as free 'junk food' prevents the birds from learning how to forage for their natural foods. Not all tourists (or birds) realise this and there is always a gang of these intelligent and inquisitive kea enthralling passing motorists. The area here was surveyed as early as 1890 but it was only during the depression era that work on the Homer Tunnel began. The narrow tunnel was opened in 1954 and traffic lights operate as vehicles can still only travel in one direction at a time. Once through the tunnel, the road zigzags down to sea level. 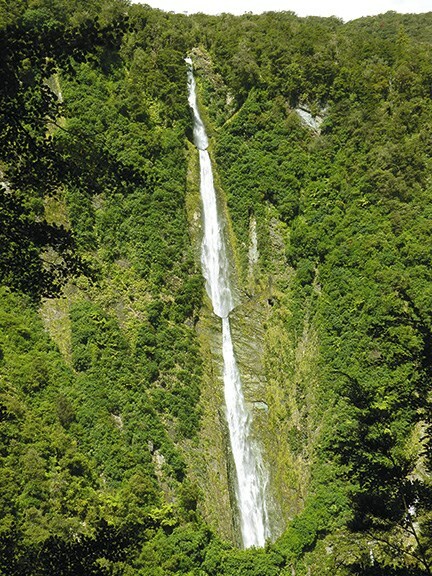 About halfway between the Homer Tunnel and Milford Sound is the Chasm Walk, with an off-road car parking area, and a 15-minute (return) loop walk takes visitors over bridges above the Cleddau River, which has gouged and carved rock sculptures as it pours over a series of waterfalls. Finally Milford Sound, also known as Piopiotahi, appears at the end of the road. Rudyard Kipling called it the eighth wonder of the world and Mitre Peak is rightly regarded as a Kiwi icon. There is a foreshore walk where visitors can gaze up at the lofty mountain as it towers 1692 metres above the water. There are also great views of Bowen Falls and the boats that take passengers for a closer look. These boats are dwarfed by the grandeur of Milford Sound. The dramatic mountains are echoed underwater, as the sound drops to depths of 265m. Those interested in diving and snorkelling can study the black coral for which Milford Sound is famous. 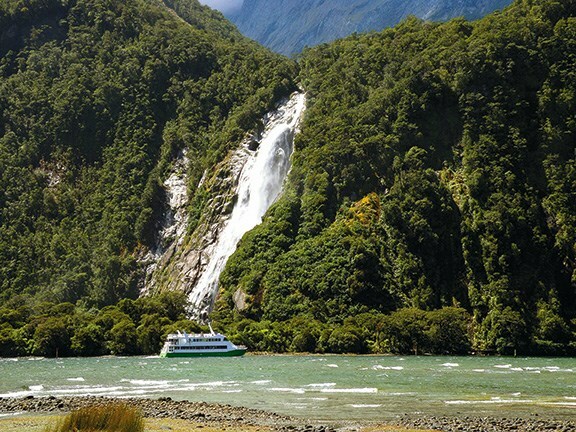 Boat cruises of various lengths can be booked at Milford Sound village. There is also kayaking available. It is recommended you go with a guide, unless you are very experienced. 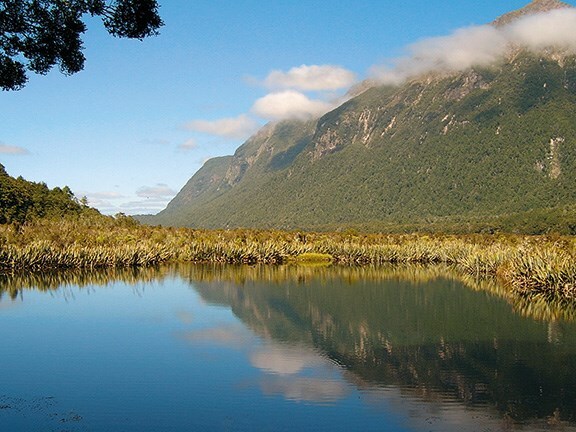 Many of the delights of the Milford Road can be enjoyed in one (long) day's road trip, but for those who want to explore in more depth, I would recommend finding a camp site and taking the time to savour the delights of this magnificent area. 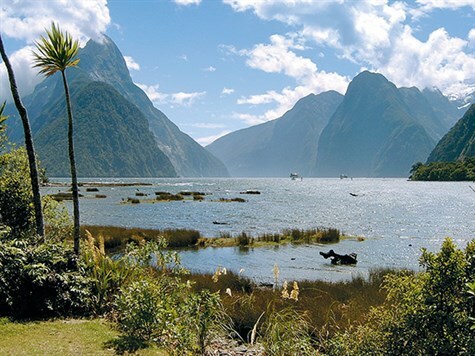 The Milford Sound area is in Fiordland National Park, part of the South West New Zealand World Heritage Area. 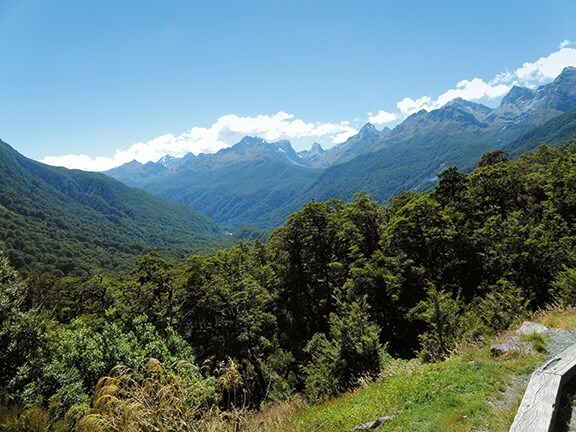 This area of 1.2-million hectares encompasses mountains, fiords, lakes, and rainforest. Although the weather at Milford Sound, and along the road out to it from Te Anau, can be stunning, it can also be very wet. This is the wettest part of New Zealand, with up to seven metres of rain falling annually. Check the forecast before your trip. 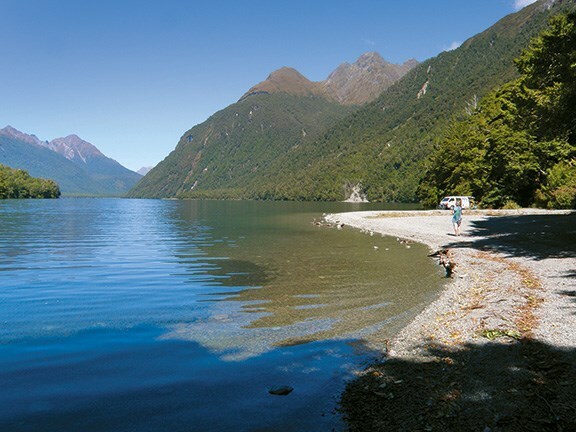 Information about the area can be found at the Visitors Centre, Lakefront Drive, Te Anau.